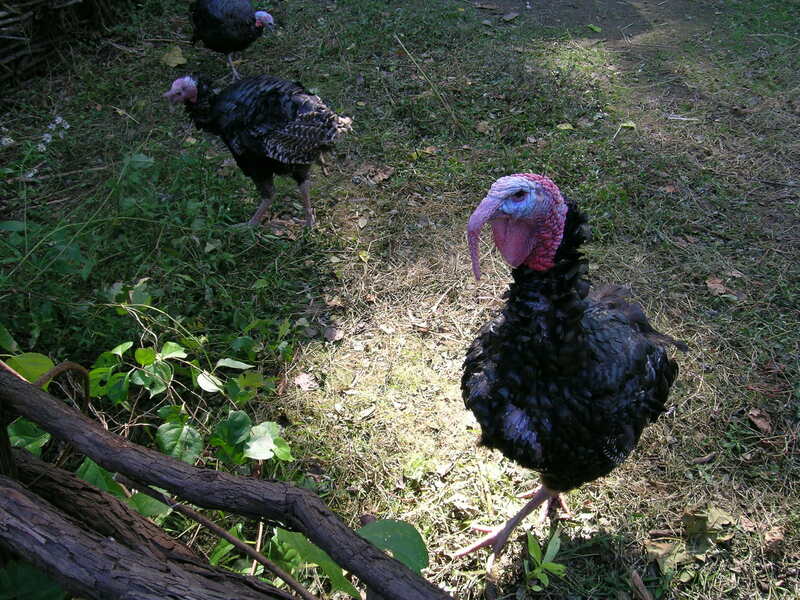 The domesticated turkey was introduced to West Africa by the Spanish and Portuguese from the Americas, early on in the days of the slave trade to stock their settlements along the coast. The turkey was domesticated in early Mesoamerica in what is now Mexico and Central America. Turkeys were found in Dahomey (the Fon kingdom in the modern nation of Benin) in the villages and marketplace, but was seldom eaten. It was considered more of an exotic pet–kind of the way we look at a peacock in America. The turkey is known in Yoruba as “tolotolo” which obviously reflects onomatopoeia in naming birds in West Africa—the Akan to the west call guinea fowl akuku (WHREW!) after its call. The last word–well its hard to transliterate because it involves a few sounds that we don’t have in English. The first term akuku refers to poultry. Interestingly enough, the turkey’s scientific name, Meleagris gallopavo, is partially derived from the ancient Greek for guinea fowl μελεαγρίς, meleagris. On early plantations and small farms of means a bevy of poultry from all over the world would have clucked around—guineas from West and Central Africa, turkeys from Mesoamerica, Muscovy Ducks from South America, chickens and domestic ducks ultimately from Southeast Asia, and geese from Northeastern Africa, specifically the Nile Valley. Yay for Africa–2 out of the rest ain’t bad. 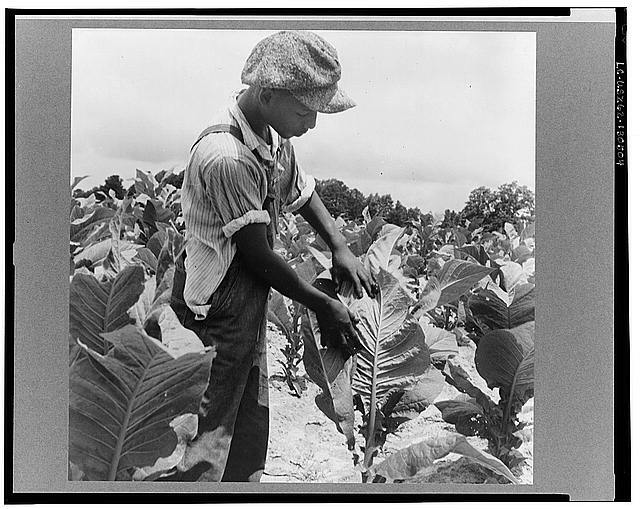 On plantations, small farms and urban settings throughout the South, enslaved people were the predominant marketers of poultry. 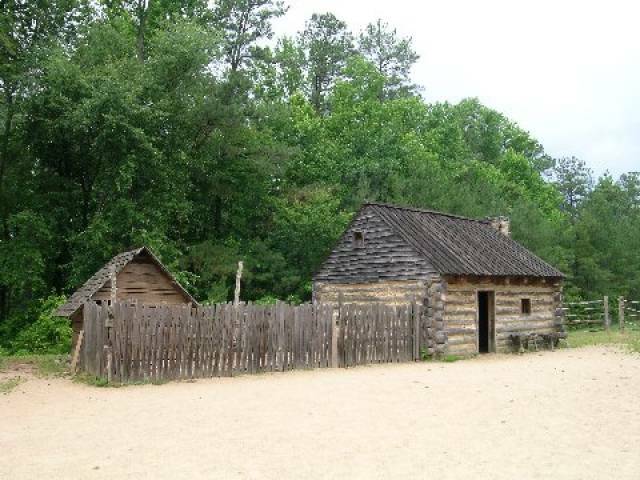 Many enslaved people kept poultry by their homes in little hutches or in yards specifically meant to maintain small flocks of birds. In West and Central Africa chickens had long come through Egypt, Ethiopia and Eastern Sudan, diffusing through the African continent at an early time. 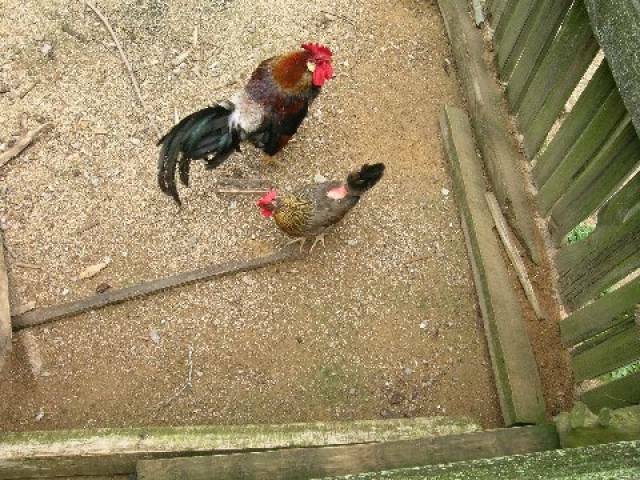 The chicken found its way into the sacred narrative of the Yoruba, for whom the early began when the Creator let a chicken descend on a golden chain to scratch the primordial dirt. The chicken is sacred in our heritage. Its blood and feathers were often offered to the deities and Almighty G-d by the priests of traditional West African religions. Many, but not all sacred animals were cooked and consummed in ceremonial meals. During and after slavery, the chicken became “the preacher’s bird,” the common dish served to Black clergy and the Sunday meal delicacy. Of course European Americans followed the same custom of feasting the preacher on a visit–but this uncanny link connects the custom across the Atlantic divide. In Missouri, William Wells Brown talked about enslaved people singing for their harvest meal at the cornshucking festival. They clamored for their “turkey and clam sauce,” a reference to the Virginia and Maryland borne custom of serving Turkey in the English/English American fashion–stuffed with oysters or sauced with oysters. In Missouri, freshwater clams would have replaced the Eastern oyster. 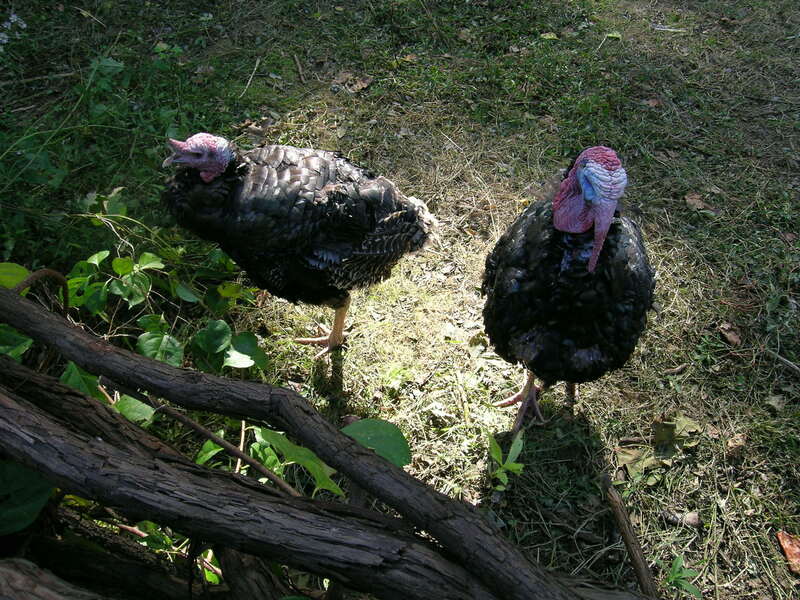 The Spanish Black/Norfolk Black turkeys that roamed the farms and fields of these early plantations were often essential to the health of the cash and garden crops. Tobacco and other leafy crops prone to hornworm infestation would be picked over by turkeys and guinea fowl driven through the fields explicitly for that purpose. According to Charles Ball, turkeys were fattened on hornworms and corn, wild grain and any other fragments available on the farm. 3 tbsp of fresh sage and rosemary leaves, flat leaf parsley, thyme and marjoram–leaves only no stems! Heat 2 tablespoons of oil and saute onions until they are transluscent. Remove the onions and place in a small bowl. Add the sauteed collards to the onions and season with seasoned salt and hot pepper to taste. Add the grated cornbread crumbs and mix. Swish the wine and stock in the turkey pan after the excess oil has been drained. Scrape up any brown bits. Save this liquid. Add the flour and vegetable oil to a pan and mix, cook over low heat until a light brown color emerges and a slightly nutty flavor emerges. Do not stop stirring! Carefully monitor the color and smell of your gravy roux. When it has the proper color and scent, add the other liquids mixing well and stirring well for about 15-20 minutes. Be sure to season with the salt and pepper mixture at the end according to taste and need. Lastly, stir in the fresh flat-leafed parsley leaves. I love this! I hope you don’t mind if I share it with my African American History to 1877 class this fall. Keep up the good work!